Despite slowing growth, the Fed remains on track for a December rate hike. 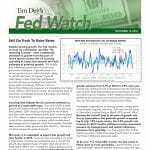 The reasoning is simple – even a substantial slowdown in growth from the pace of recent quarters leaves the US economy operating at a pace that exceeds the Fed’s estimates of potential growth. This means that inflationary pressures will continue to grow even if the pace of growth slows. It is not an environment in which the Fed is likely to call off rate hikes. Of course, if growth looks likely to slow more than anticipated, the Fed will react and adjust their expected policy path accordingly. 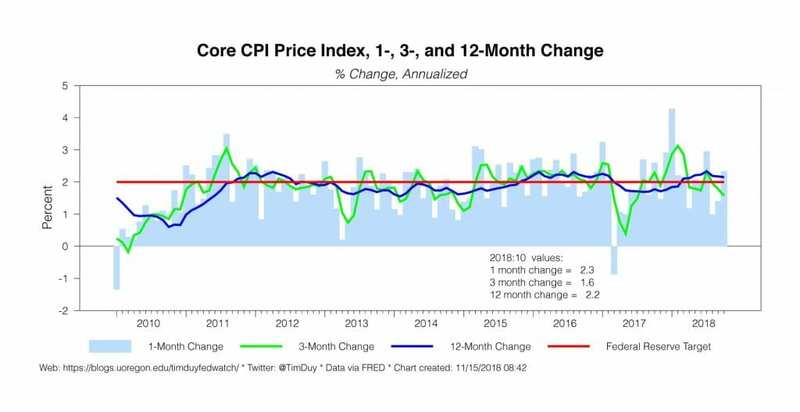 Without more evidence that inflationary pressures are translating into higher actual inflation, the Fed will neither accelerate the pace of rate hikes nor hesitate to pause if the data turns sharply lower than expected. 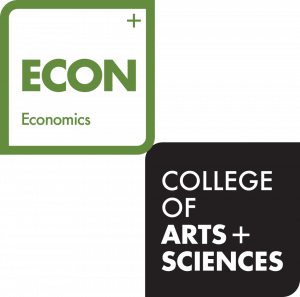 Incoming data indicate the US economy continues to growth at a respectable pace. That said, fourth quarter growth will likely moderate from the pace of the previous two quarters. GDP tracking indicators from the Atlanta and New York Federal Reserve banks both currently stand at 2.7%. Indeed, it seems almost certain that the heat will come of the consumption numbers, which contributed 4 percentage points to growth in the third quarter; the retail sales numbers today pointed in that direction. That alone will likely temper the pace of growth. Moreover, it is reasonable to expect that growth will slow further in 2019. Fiscal stimulus will wane if not given a fresh boost, housing has moderated and is not driving growth, the lagged impact of higher rates should be increasingly evident, and, if sustained, slower global activity will take a bite out of growth. Much of this should already be incorporated into the Fed’s economic forecasts, which explains why the median policymaker anticipates growth will slow from 3.1% in 2018 to 2.5% next year. Growth will continue to trend downward into the following year as well. 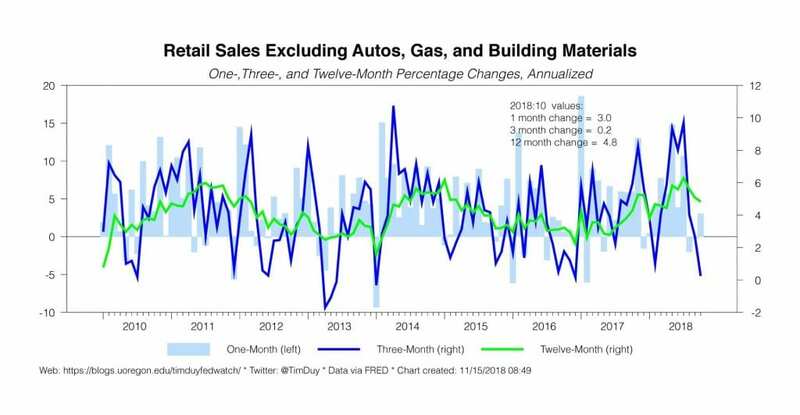 Note that trending downward does not mean we need to go on recession watch; leading indicators overwhelming point toward continued economic expansion. 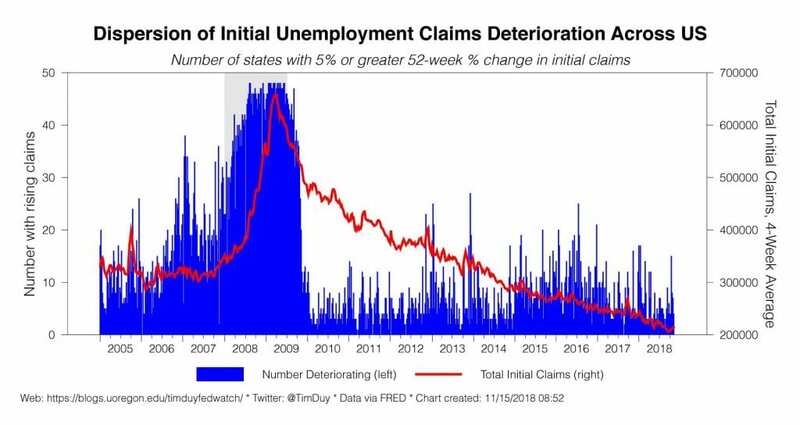 See, for example, low initial unemployment claims. Yet despite expectations of slowing growth, central bankers anticipate ongoing rate hikes. The next one will come in December; another likely in March 2019 as well. Why? Because the Fed will look at the pace of growth relative to expectations that potential growth is expanding at only 1.8% a year. Hence, the 2.5% growth rate forecast for 2019 remains sufficient to place downward pressure on unemployment and sustain inflationary pressures more generally. The Fed expects that further tightening will be required to ease growth down to a pace that those inflationary pressures wane. To be sure, it is reasonable to point out that actual inflation does not look worrisome. Central bankers would also reasonably respond that this does not imply that rate hikes should come to an end; they will tend to see stable inflation as a consequence of past rate hikes. 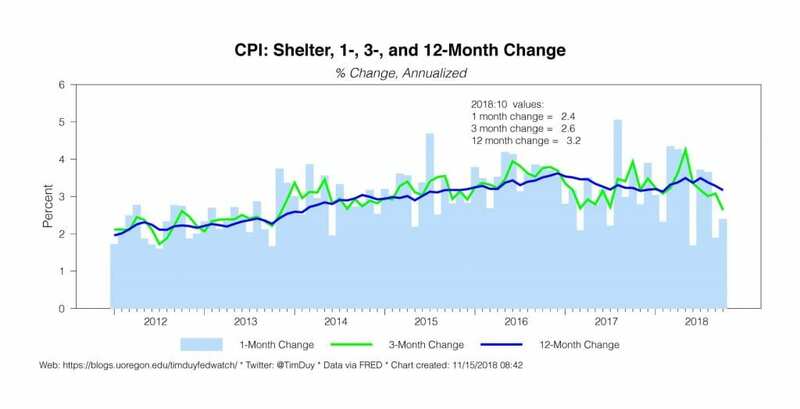 In other words, the lack of inflation despite rapid growth stands as evidence that their strategy of preemptive rate hikes was successful. The lack of inflation is, of course, still very relevant. First, it dissuades the Fed from reacting to low unemployment (they can instead try to squeeze additional slack out of the labor market). Second, it will allow the Fed to move quickly should the economy falter more quickly than expected (but, as should be clear by now, they aren’t going to come to the stock market’s rescue without evidence of damage to the broader economy. Third, it will argue for further decreases in the Fed’s estimates of the natural rate of unemployment, which would in turn place downward pressure on the rate path. The upshot is that we remain in a familiar place – the Fed is likely to continue hiking rates until they feel confident that they have removed a sufficient amount of financial accommodation to alleviate overheating concerns. If data starts tracking below the Fed’s forecasts, we can expect that the Fed will scale back on their rate hike path. If above, the opposite will occur (side note on this point – while the current expectation is for fiscal stimulus to wane, with the Democrats taking the House, the path of least resistance for Congress going forward may be more spending). This is a good place to be. It’s a place where the Fed can be nimble. Of course, during a tightening cycle there is always the risk that the Fed overshoots and plunges the economy into recession. 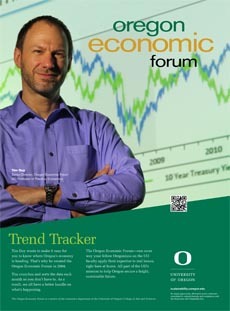 And arguably the Fed’s forecasts highlight this risk as they clearly indicate a goal to restrain the pace of activity. But I don’t think we should worry too much yet absent evidence that inflation looks to be rising to 2.5% on a sustainable basis. Under such circumstances, the Fed would likely adopt a more hawkish and less flexible posture. We just aren’t there yet. Bottom Line: Goldilocks 2.0 keeps the Fed on its basic policy path, gradually hiking rates but having sufficient room to maneuver such that they can change course if needed.